A No Nay Never colt out of Duchess of Gazeley (Lot 84), a four-time winner in her own right, topped the Tattersalls Ascot Yearling Sale when he was knocked down to Anthony Bromley of Highflyer Bloodstock and trainer Alan King for £46,000. The second edition of the Tattersalls Ascot Yearling Sale attracted a plethora of agents and trainers to the venue which resulted in an increased turnover of £1,096,000 (+39 per cent), a median of £7,000 and an average of £9,955 (+7 per cent). The clearance rate finished on 73 per cent. Sire No Nay Never can do no wrong at the moment on the track, and today this transferred to the sales ring with his son out of Duchess of Gazeley (Lot 84), a four-time winner in her own right, topping the sale when being knocked down to Anthony Bromley of Highflyer Bloodstock and trainer Alan King for £46,000. 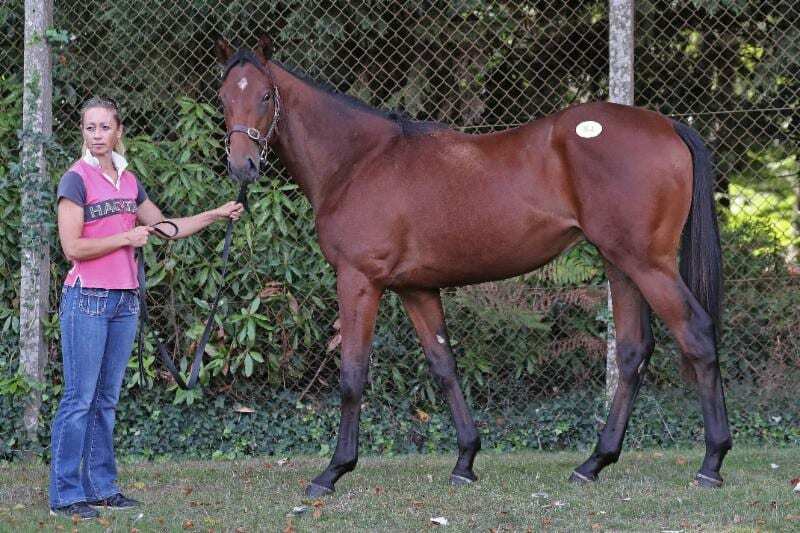 The colt was offered by Peter Nolan Bloodstock. No Nay Never was also responsible for the joint second highest price of the sale when the blue-blooded filly, the daughter of Listed winner and Classic placed Amethyst (Lot 45) was sold to Al Rabban Racing and Jackson-Stops Bloodstock. The filly was sold by leading consignor of the sale Jamie Railton who offered a total of 12 lots. Hucking Hot was an impressive racemare in both the UK and the USA and this has been replicated in the breeding shed where she has already produced two winners from three runners. This attracted Peter and Ross Doyle to Lot 102, her Dutch Art filly who they purchased from Trickledown Stud for £42,000. “We are very pleased with the progression of the Tattersalls Ascot Yearling Sale. Only in its second year, the sale has developed a reputation as a creditable choice for both selling and purchasing yearlings. This was evident from the vendors who chose the sale to offer their consignments along with the much increased number of trainers and agents who were present and active over the last two days. It is fair to acknowledged that the market remains selective and there has been plenty of demand for the choice lots. This entry was posted in Bloodstock and tagged alan king, anthony bromley, No Nay Never, richard pugh, Tattersalls, tattersalls ascot yearling sale by Press Release. Bookmark the permalink.